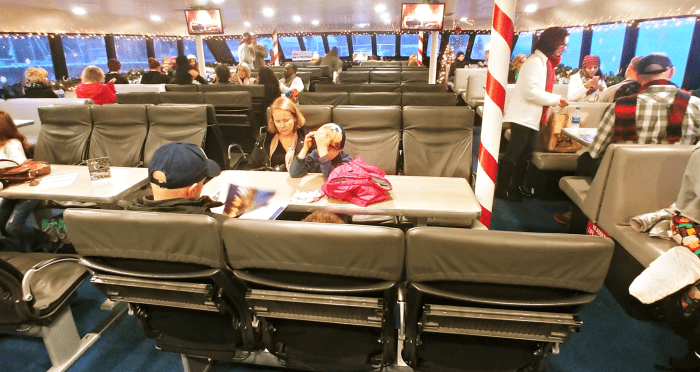 Christmas By The Sea – Clipper Vacations Day Trip to Langley Wa! 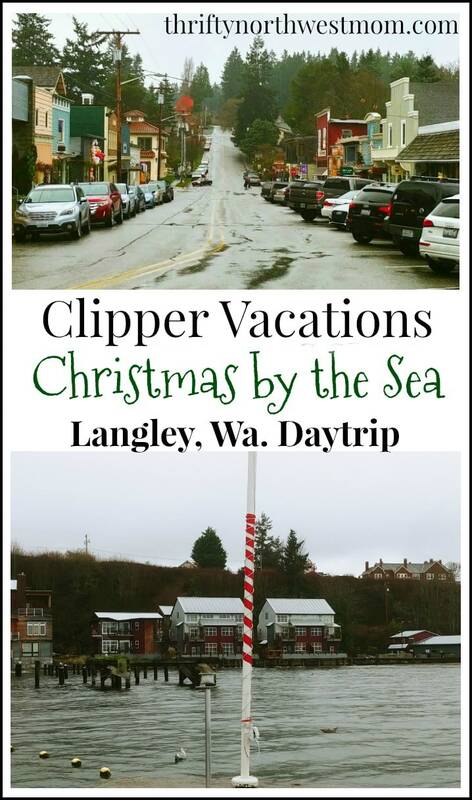 If you are starting to think about festive holiday events and day trips you might want to enjoy this year, Clipper Vacations offers a day trip over to Langley Wa, on Whidbey Island. We took a day trip out there with them last year, and had a really wonderful day. Now is a great time to start thinking about booking for this year. You can read our review here of our trip, and see if it is something that would be a good fit for your family to enjoy too. 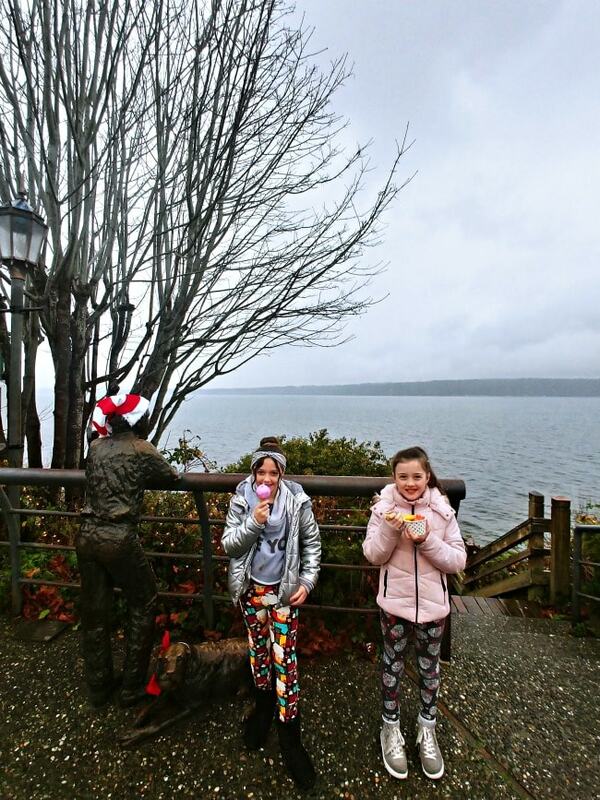 My girls, mom and I took the “Christmas By The Sea” day trip out to Langley, Wa. via the San Juan Clipper from the Seattle Waterfront. It was a special girls day out and we created many memories. If you’re looking for a special Christmas day trip, we have provided lots of details on this one below. 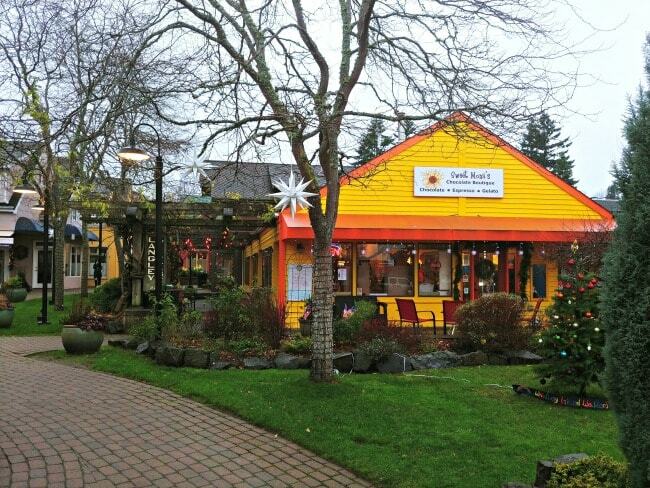 Langley is nicknamed the “Village by the Sea” and really is a quaint little town with much to offer for a day trip. 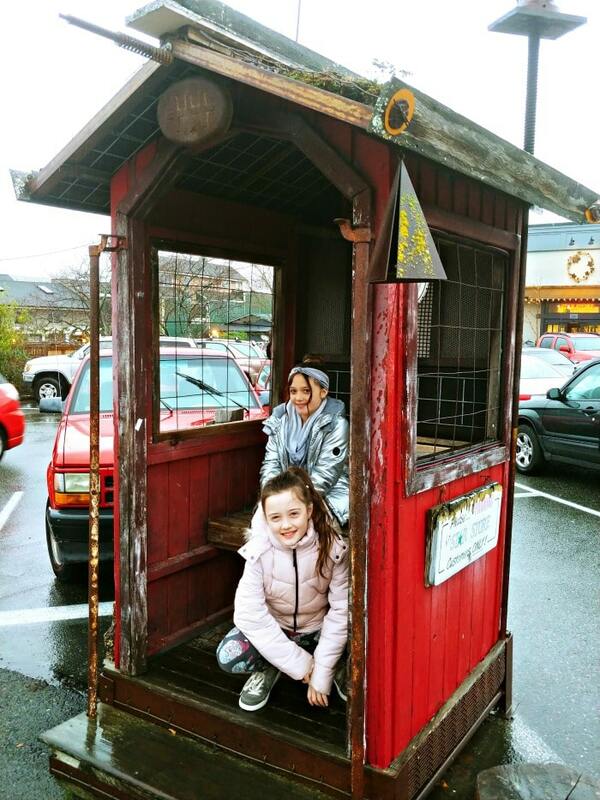 I have been visiting Langley since I was a little girl, back when we had a house on Whidbey Island. The town has the same feel that I remember from so many years ago, but there is much more to offer these days. Sometimes the holidays can get so hectic that I long for holiday experiences where I am not rushing to get a checklist of things done. This is what I enjoyed most about this trip, feeling like I was transported back into days when life moved at a different pace, but still having the modern amenities like restaurants with great food and drink! It was very nostalgic to walk up into Langley and see the old theater and mercantile store still standing, that I recalled from childhood. It has the feel of a small fishing town that you might find in some more remote location, but there was also lots of great shopping and food. This trip would be great for families (especially if your kids are old enough to do some walking for an afternoon) and couples or friends. Since it was a girls trip for us (three generations), I thought this was a fun fact about Langley to share. Did you know that Langley as a “City was governed for a time in 1919 by an enthusiastic all-women council (the nation’s first)” per the LangleyWa.org site. That is a fun claim to fame! The San Juan Clipper docks in the Langley harbor and it’s a beautiful area to disembark. On our ride over, we relaxed with some cider and fruit and cheese plates on the boat. We brought a backpack with some light games and played family games for much of our ride, which my kids loved. There was also plenty of time to just talk and enjoy each other’s company. It was a bit of a rainy day when we arrived, but I love Langley’s harbor area. 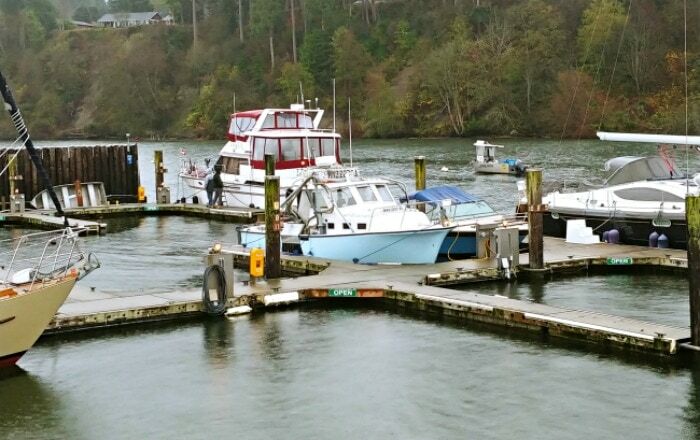 It reminded me of all those times we took the boat from the “main land” (aka Seattle area) over to Langley when I was a kid, to grab some supplies before heading to our cabin on the beach. 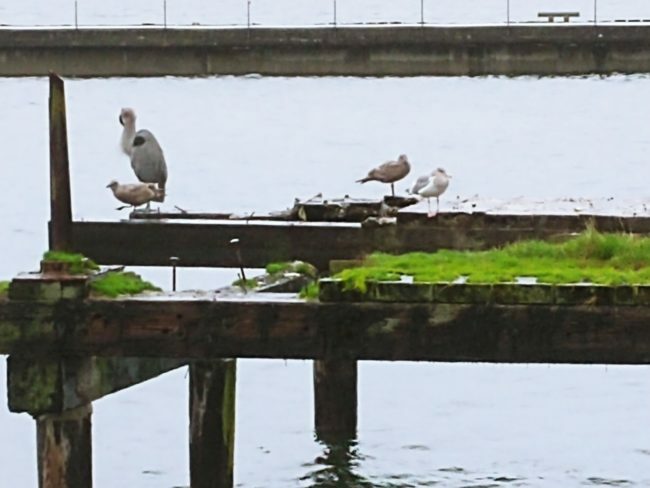 There was this beautiful dock area where we spotted some of the local birds. You have water on one side, and a beautiful Pacific NW landscape on the other side. Once you get off the San Juan Clipper, there is a short walk up a hill (they have a shuttle if you do not want to make the walk). Then you are right there at the start of town to begin your adventure. When you’re boarding the Clipper, they provide you with a bag of some coupons as well as walking maps, etc. You can use that time on the boat ride over to scout out places you might want to eat or shops you might want to visit. You can also visit the San Juan Clipper Langley Trip page here, to see a sample of their recommended itinerary for the day. 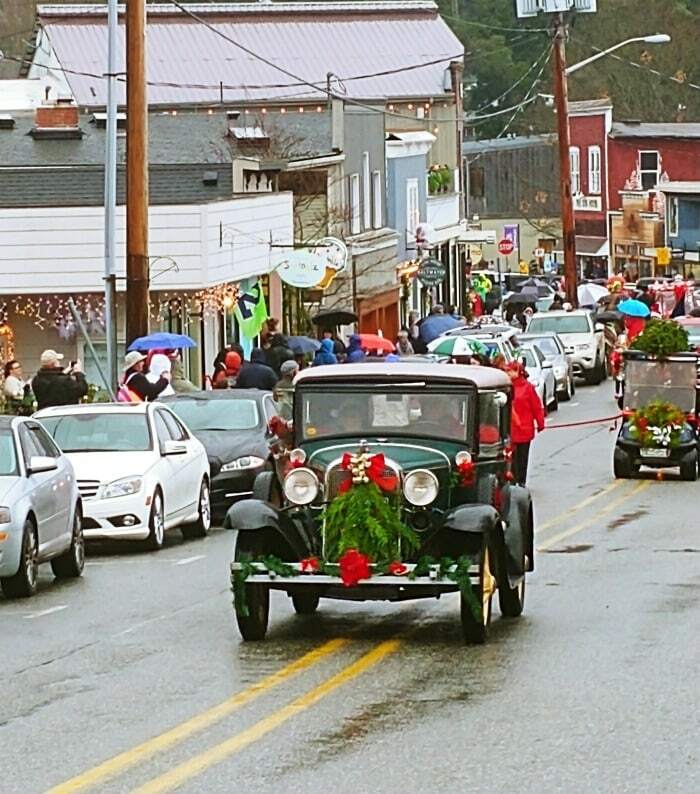 We caught some of the Langley Christmas parade as we came up off the boat. It’s a smaller parade, but that made it lots of fun for my kids. They filled their pockets with candy from the folks in the parade. It was even casual enough that the kids could join in on the parade if they wanted to. This beautiful restored car was a highlight for me! It was nice to enjoy a Christmas parade that we did not have to fight traffic to get to, deal with parking, or have to stake out a spot to watch it hours earlier. It was very easy to find a spot to enjoy the parade and folks in the parade were interacting with the crowd much of the time. This only happens once a year, but it is something to consider for planning a trip date next year. When I was growing up, we used to head into Langley and visit this mercantile store (kind of like the general store in town, and was really more of a hardware store). 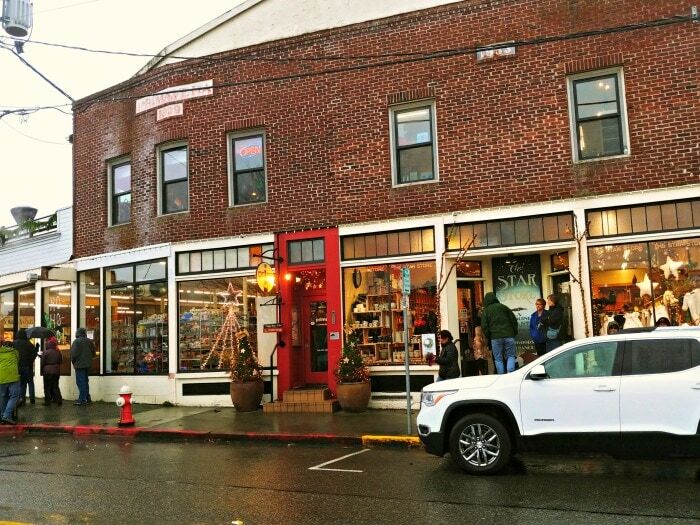 Now it is this great grocery / gift store and goes by the name, Star Store Market & Mercantile. My kids found some small toys they loved and I found some holiday decor. It was fun to browse and the folks running the store were grateful for so many people supporting small business by shopping with them. There were a number of fun stores throughout the town to find unique Christmas gifts or “just because” purchases. My girls found Unicorn Bath Bombs that they loved and we paid just a few dollars each for them. You can find everything from home decor, to clothing, specialty items, holiday decor and so much more. 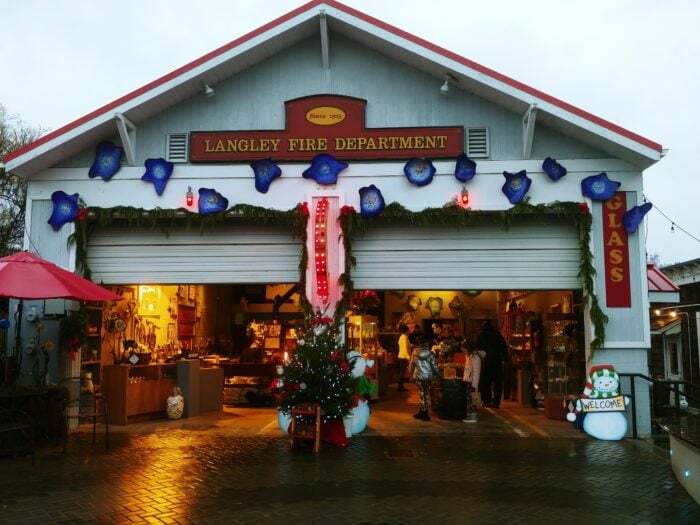 The town of Langley has some fun options for those who enjoy history and art as well. One of our favorites was to see how they have transformed the old firehouse into a glass blowing studio, as well as gallery / store. You can purchase special glass ornaments for your tree, or drinking glasses, artwork and more. The had some beautiful glass pieces that you could use as a paper weight for $7, if you are looking for something more affordable to grab as a souvenir. There are a number of restaurants in town to eat at. One tip about eating at the restaurants, is that you may want to make reservations for a specific time (at spots that allow them) if you know where you might want to eat. We did have to wait a bit to get seated, and when there is only so much time to explore the town, reservations can be a big help. You can either call ahead at some of the restaurants, or it may be more practical to make your first stop, when you get to town, the restaurant where you want to eat, to get your name on the list! This could save you a 45 minute wait. We ate at Prima Bistro, a French restaurant right above the Star Store Market & Mercantile. It’s listed under fine dining, but you can share plates. One of my girls has wanted to try a French restaurant for some time, and so we thought this was the perfect opportunity. My mom and I shared a plate to save, and then the girls ordered off the kids menu, and we did not end up spending much more then we would generally. My adventurous kiddo was able to try a plate of Mussels for $7.50 – which she ended up loving. If your kids are not as adventurous in their eating habits (and my other daughter is not, she had noodles! ), there are many options for great food in town. 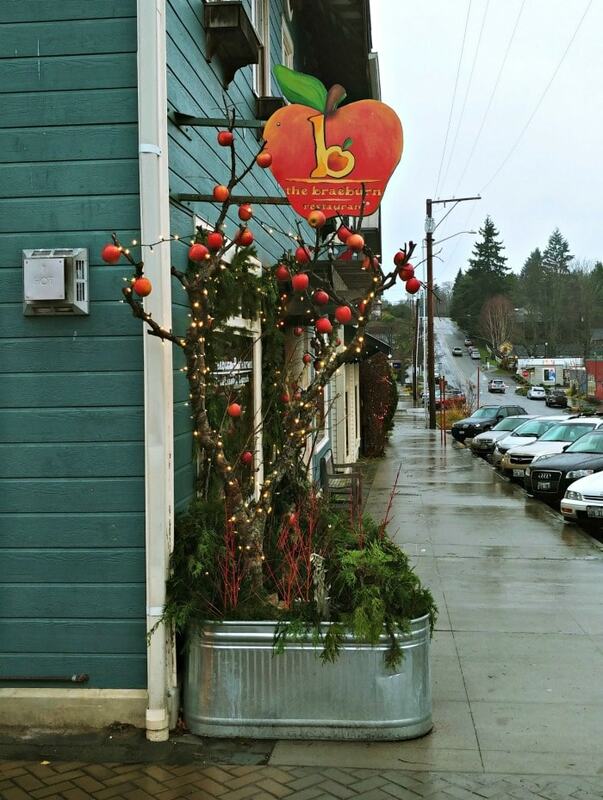 The Braeburn, shown above, is casual dining and known for their organic options, and homemade soups daily. There are Fish houses, Breweries and Pizzerias too. There will be a dining guide in the information you get when boarding the Clipper, so you can choose what best suits your tastes. There are many options for treats too. My kids loved the Sprinklz ice cream shop. Ice cream scoops were about $3 a scoop and there was a small gift shop as well as a few video games if you’re looking for some place for the kids to have some fun. 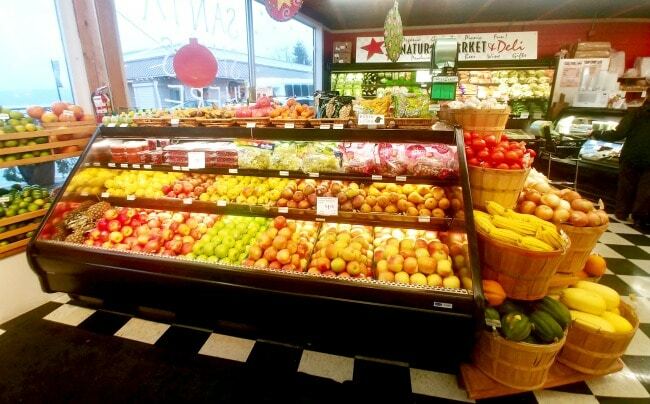 If you snacked on the San Juan Clipper ride over and are not wanting a full meal, the Star Store Market & Mercantile store has a great fruit selection, as well as many other items you would expect to find in a grocery store. There were many small shops to browse through. We picked up some treats as well as a few Christmas gifts. One of the shops (Wish) offered free hot chocolate to visitors as well. 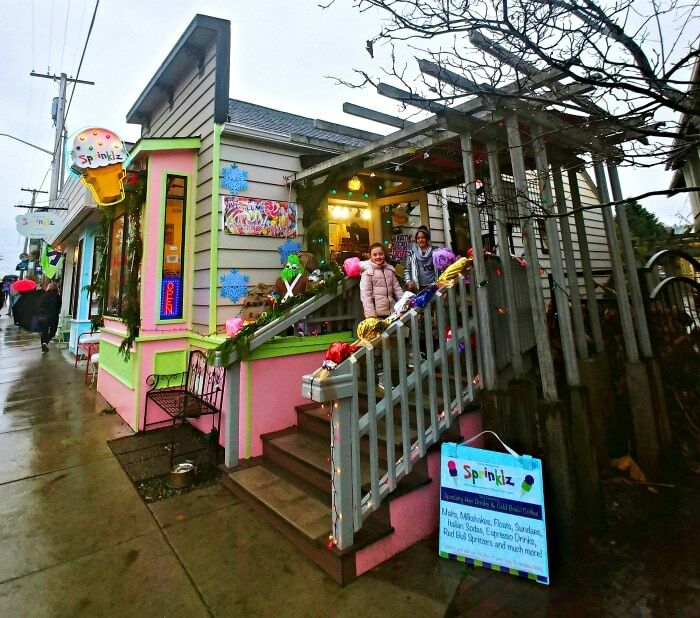 This is Sweet Mona’s Chocolate Boutique, shown above, and had lots of candy options if you have a sweet tooth. Commons Cafe and Books was a stop my kids loved. 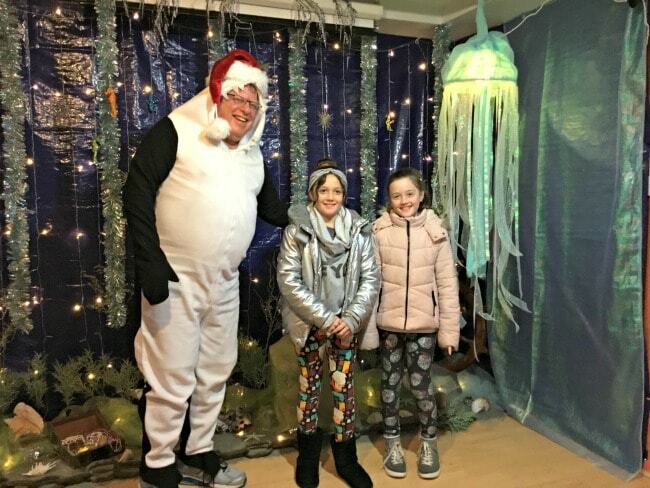 The Saturday we were there, an Orca Santa and background was set up for FREE pictures! You could take pictures yourself, but they also took them for you and then sent you an email with the pictures they took. This is the one they did with my kids. What was really special about this place though, was that it was a non-profit that helped train and provide services for young people too. They have an espresso bar out front, with baked goods and hire young people to teach them new job skills, etc. Everyone was very friendly, and although our stop here was briefer then we hoped, my girls and I look forward to going back one day and checking out the books too. 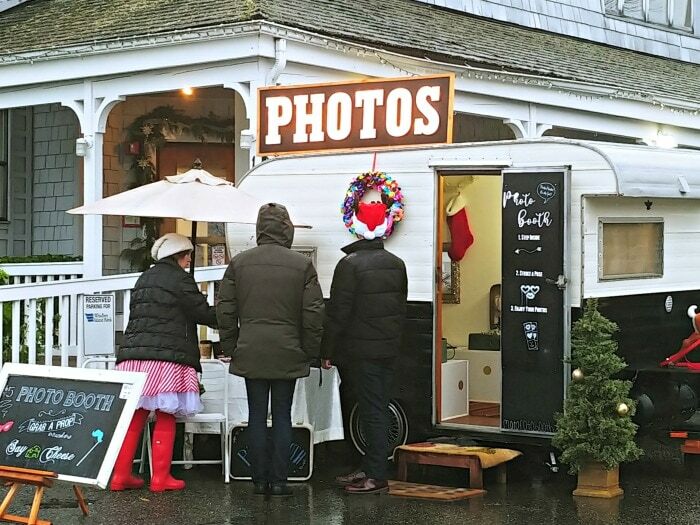 As you enter town, this cute trailer is set up to act as a photo booth to capture your day trip memories. There are props you can pick from, and it’s just $5 per photo! There is a stairway down to a public beach if you wanted to spend some time on the waterfront. It was cold the day we visited, so my kids opted to save this for another day, but it’s great to know there is beach access for those of you who want to explore more of the outdoors. The town was full of photo opps! 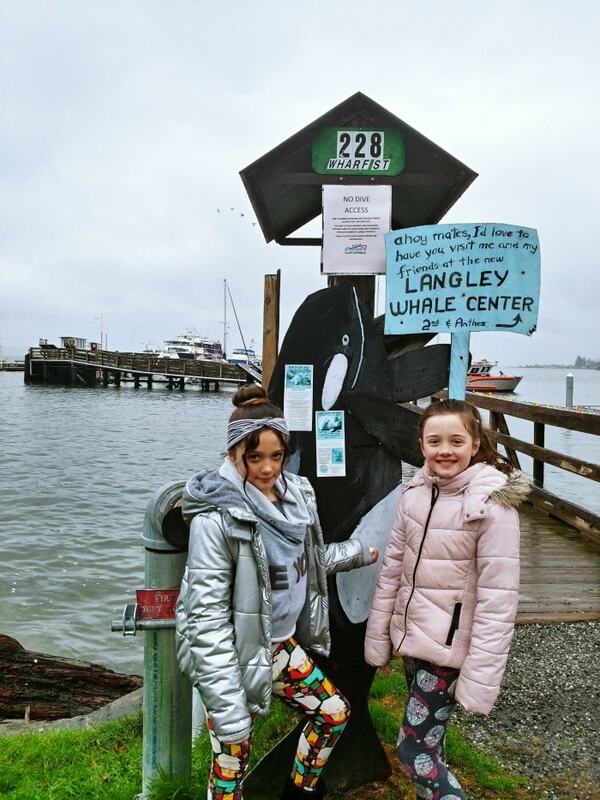 The Langley Whale Center was one stop that was on our list, but we just ran out of time before we made it over there. It is something you might want to be sure to add to your list too, if you’re traveling with kids. You can learn about whale sightings in the area (something we saw from time to time, when I was a kid, and just loved). 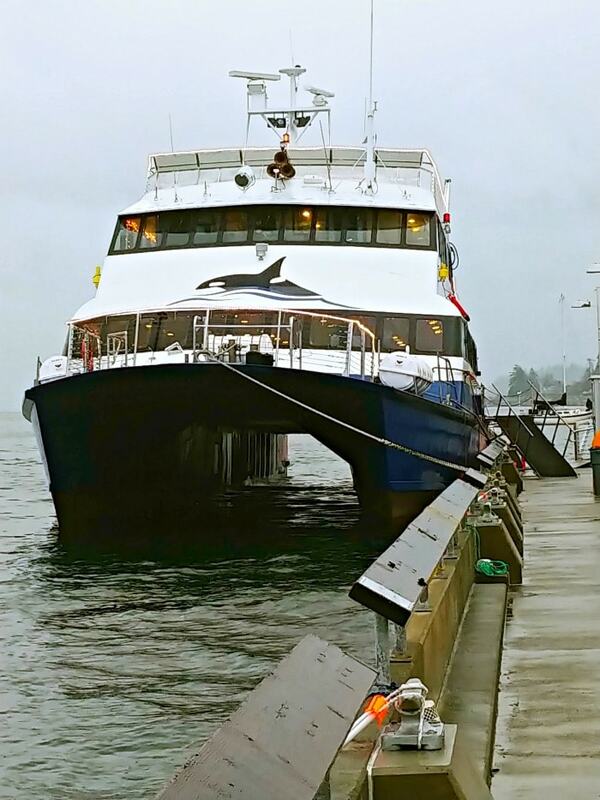 It would be a fun stop if you have an interest in learning more about Whale and Marine life there locally. 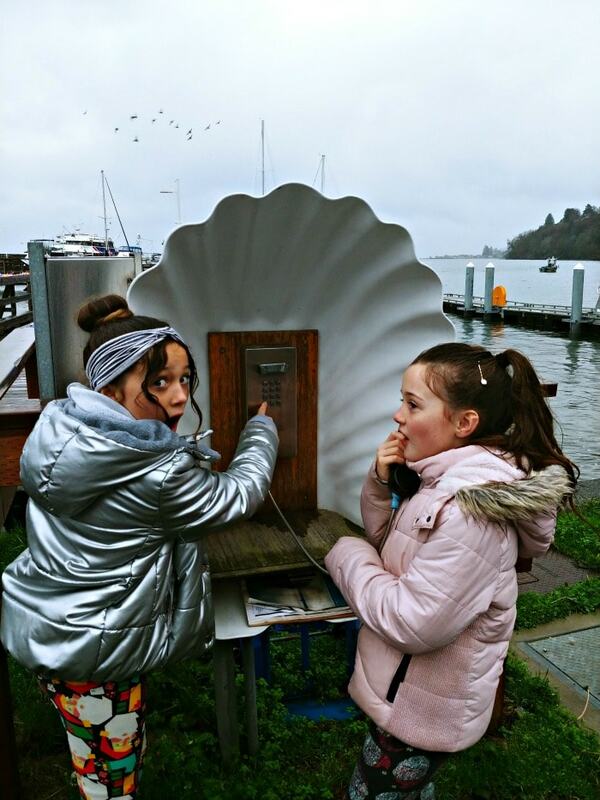 My kids found a sea shell shaped phone booth in the harbor. Whenever we come across the rare phone booth sighting these days, my kids always insist on stopping and checking it out. They are fascinated by phone booths and it’s just one more way Langley transported me back to some fond memories of my childhood. The San Juan Clipper boat is docked at the harbor while you visit and they recommend you return around 4pm ish. We got there at about 4pm, so we could get a seat at a table for the return trip. It’s first-come, first-serve for seating on the way back. We did find sitting on the first floor of the boat was a bit warmer than the upper deck. They have a galley you can buy food and drink, or you can bring your own snacks. 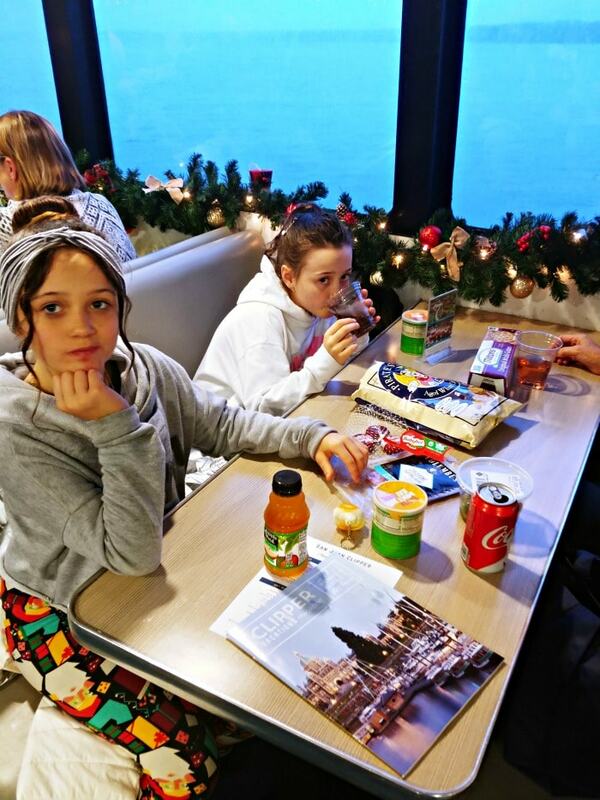 We got some special Christmas drinks from the galley on the way over, then stopped at the store and grabbed some snacks for the return trip. There is also bench seating and this is generally where you will find seats if you prefer to spend more time in town. You can park at a nearby parking garage for $10 per night (they give you a voucher that will bring your parking down to this rate – which is a great daily rate for downtown Seattle). This info will be in your confirmation information. When you are leaving, be sure to note that there are two available exits from the garage (Wall Street (at the bottom of the garage) or Elliot Ave (at the top) ) that people can use to exit. I recommend heading to the Elliot Avenue exit, as it took us around 45 minutes to exit the bottom one with traffic (I think most people go to this one, as it’s the one you likely came in from). Bring warm clothing and an umbrella, as you will be outside walking from place to place and it was cold the day we visited. They do give you the re-usable Langley bags when you board, so we just used that to keep our wet umbrellas in when not using them. Wear comfortable shoes… you will do a little walking. If you’re traveling with kids, pack activities for them to do on the boat. We boarded at around 11ish and got into Langley around 1pm, so there was plenty of time to enjoy games or reading etc. I packed lightly, as I had to carry it all with me in a backpack. You can pack snacks or purchase them on the boat. We did get a fruit and snack plate for around $8, so it is more economical to bring your own snacks if you want to save money. If you are worried about getting sea sick, they do offer medicine on the boat to help with that (for both kids and adults). Be sure to arrive an hour prior to your departure time. They start to board around 45 minutes prior to departure, and stop boarding 15 minutes prior to departure. Seating works by putting you in boarding groups. Those boarding first get their first pick of seating. The boats can book up, so chances are you will be sharing seats with others. Boarding groups are assigned by your purchase date for the way there, but first-come, first-serve on the way back. You can check in up to 7 days in advance to get your boarding group assigned. If you are traveling with small children, ask to pre-board when you check in. The website says that is allows priority boarding for families with kids 3 and under, but on our recent trip they were making announcements for kids 6 and under – so you may want to ask at check in if you can board early if you have young kids. Priority boarding is also given to those with a disability and those needing extra time to board. Tickets for this trip start at $67 per adult, and $50 for kids. While it is a bit of a splurge, it is an all day trip (after travel times), and it really feels like you got away on a short vacation. Dates were selling out, and our trip was a full boat, so be sure to check it out soon if it sounds like a trip your family would like! Disclosure: Clipper Vacations provides us tickets to visit Langley to review the trip for Thrifty NW Mom readers. All thoughts, and opinions are 100% my own.